Georgie and her husband, Darcy O’Mara, are on their honeymoon in Kenya, but they are also on the trail of a jewel thief who Darcy has been tracking since they left England. While Georgie is thrilled with the wildlife, she is appalled by the antics of the upper-class Englishmen and women who have made Kenya their home. Following a hedonistic party at a remote estate, Georgie and Darcy come upon the dead body of a local Englishman. It does not take them long to realize that Lord Cheriton was not well liked, and that nearly everyone in the local community had a motive to kill him. With their own lives in danger, Georgie and Darcy search for the killer. I have to say that I am a huge fan of Georgie. She is a quirky and fun character, and I love following along on her many adventures. I’m thrilled that she and Darcy are finally married. 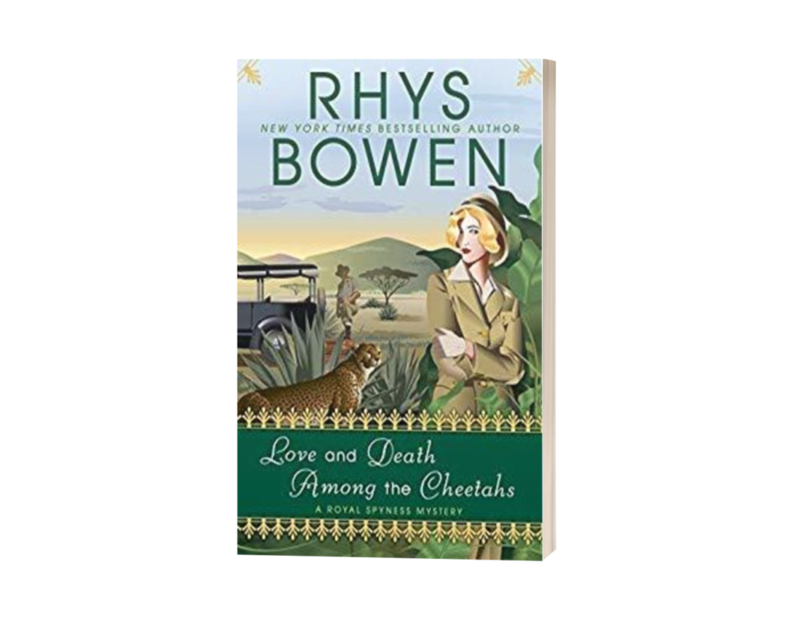 LOVE AND DEATH AMONG THE CHEETAHS is a fun novel with a very interesting setting. It is nice to see Georgie and Darcy so far out of the normal element. The supporting cast of characters were missing, but I was glad that Bowen didn’t drag Georgie’s family and friends along on the honeymoon. While I enjoyed the setting and the mystery kept me guessing, I felt that the action was slow to start and that there was a lot of repetition in the novel. It seemed that Georgie and Darcy spent a good portion of the novel telling multiple people the same story. The reader was along for the ride, and it seemed unnecessary to go through the same details so many times. Aside from that, it was a great read and another intriguing adventure for Georgie.